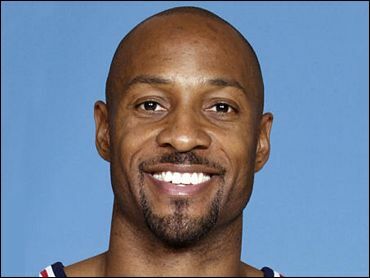 Less than a month after retiring from the NBA with a kidney disease, former All-Star center Alonzo Mourning will undergo kidney transplant surgery Friday. Mourning will receive the kidney from an unidentified family member at a New York hospital, agent Jeff Wechsler said Thursday. The former New Jersey Nets player had dozens of offers from prospective donors around the country following the announcement last month that he needed a transplant. "He appreciates all the well wishes and encouragement he's received from fans all around the world and asks that the public respect his privacy at this time," Wechsler said in a statement. Mourning's wife, Tracy, said her husband was in good spirits. "Alonzo's great," she said at an Alonzo Mourning Charities benefit for New York City children. "Faith gets you through all, and we have a great deal of faith." Mourning, 33, retired Nov. 24 because of complications from the disease, focal segmental glomerulosclerosis. He was diagnosed before the 2000-2001 NBA season when he was with the Miami Heat. Mourning missed the first 69 games of that season, but played the full 2001-02 season, averaging 15.7 points and 8.4 rebounds. He missed all of last season. He played in 12 games this season for the Nets, averaging 8 points and 2.3 rebounds in 17.9 minutes. In a 12-year career, the former Georgetown star was a seven-time NBA All-Star and two-time NBA defensive player of the year. But while the Heat were a top contender through the mid-1990s, Mourning never made it to the NBA finals. His Heat team only went to the Eastern Conference finals once, in 1997, and was defeated by the Michael Jordan led Chicago Bulls. Along the way, Mourning's Heat were involved in several legendary contests with their rivals, the New York Knicks, who were led by fellow Hoya Patrick Ewing. Several of the games were known more for bench-clearing altercations and bizarre behavior — including one scuffle which ended with Knicks coach Jeff Van Gundy clinging to Mourning's foot. Focal segmental glomerulosclerosis, known as FSGS, affects the filters of the kidney that remove toxins from the blood. Scar tissue builds up on the filters. In the weeks before his retirement, tests showed that Mourning's kidney function had deteriorated and that the chemical imbalances in his blood made it dangerous for him to continue playing. There is no single cause of FSGS, but factors such as hypertension, extreme obesity, intravenous drug abuse and HIV have been associated with the disease. The disease strikes mostly children and young adults, and predominantly blacks, said Gregory Perrin, director of marketing and development for the Kidney and Urology Foundation. According to Dr. Ira Greifer, a professor of pediatric nephrology at Montefiore Medical Center in New York, about 20 percent of patients who receive a transplant suffer a recurrence of FSGS. Mourning is credited with focusing attention on the rare and incurable illness that was considered untreatable as recently as 15 years ago. More than 1,500 requests for information about kidney disease and organ donation have been received by the Kidney and Urology Foundation since Mourning's retirement announcement, according to foundation spokesman Barry Baum.